The report will cover practical aspects of CT radiation dose optimization and error prevention for practicing physicians and other healthcare providers, physicists, and technologists. General aspects of CT dose descriptors, image quality, and dose optimization principles will be described. Specific aspects of dose optimization in head, chest, abdominal, and pelvic CT for adults and children will be illustrated with emphasis on practical strategies and techniques. Another unique aspect of the report will be on error prevention in CT imaging and how to define, commission and audit CT protocols systematically, which has not been well covered in published literature on the subject. Additionally, a detailed “Frequently Asked Questions” section will be included. is an Assistant Radiologist at the Massachusetts General Hospital Imaging's Divisions of Thoracic Imaging and Cardiac Magnetic Resonance, Computed Tomography (CT), and Positron Emission Tomography Program. He is also an Assistant Professor of Radiology with the Harvard Medical School. Dr. Kalra received both an MBBS and an MD from the Government Medical College and Hospital. He performed his residency at the Government Medical College and Hospital and the Sanjay Gandhi Post-Graduate Institute of Medical Sciences. In addition to his clinical work in chest and cardiac imaging, Dr. Kalra has keen interest in research pertaining to CT technology, radiation dose reduction, CT virtual autopsy, image post-processing and radiology informatics. Dr. Kalra has won numerous awards from majorradiology national and international societies for his work related to CT radiation dose. is an academic cardiologist with a clinical focus on cardiac imaging and a research focus on radiation safety and medical imaging. 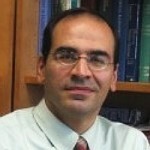 He presently serves as both Herbert Irving Assistant Professor of Medicine (in Radiology) and Victoria and Esther Aboodi Assistant Professor of Medicine (in Radiology) at Columbia University, as well as Director of Cardiac Computed Tomography (CT) Research and Co-Director of Cardiac CT and Magnetic Resonance Imaging. He and his colleagues are involved in numerous research efforts aimed at better quantifying the radiation burden from medical imaging and interventional procedures, as well as developing and validating approaches to reduce radiation risk to patients and populations. This interdisciplinary program has been recently funded by grants from the National Heart, Lung, and Blood Institute, the Margaret Q. Landenberger Foundation, the Louis V. Gerstner, Jr. Scholars Program, and investigator-initiated grants from industry. Dr. Einstein's research in this area has resulted in numerous publications in journals including the New England Journal of Medicine, JAMA, and The Lancet. This work has been influential in affecting clinical practice, has been widely reported in the popular media and cited over two thousand times in the scientific literature. For this work, he has received the Louis Katz Cardiovascular Research Prize for a Young Investigator, the American Federation for Medical Research's Junior Physician Investigator Award, and the American College of Cardiology's Douglas P. Zipes Distinguished Young Investigator Award. In addition to his work on NCRP, Dr. Einstein is a member of the Food and Drug Administration's Medical Imaging Drugs Advisory Committee and a consultant to the International Atomic Energy Agency. He is a board member of the American Society of Nuclear Cardiology, the Association for Clinical and Translational Science, and the Cardiovascular Council of the Society of Nuclear Medicine and Molecular Imaging, and serves on the editorial boards of several cardiology journals. 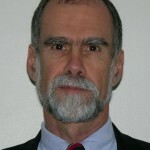 He has served as a Special Scientific Advisor to the Radiation Effects Research Foundation in Hiroshima Japan, a corresponding member of the International Commission on Radiological Protection Task Group 62 on Radiological Protection in Cardiology, and a reviewer for the National Cancer Institute and over 20 journals. Dr. Einstein received an AB from Princeton University in mathematics, an MS from Columbia University in biostatistics/patient oriented research, and MD and PhD degrees from Mount Sinai School of Medicine. is the Professor of Radiology and Medicine at the Johns Hopkins University School of Medicine, Baltimore, Maryland. He is also the Chief Physicist at the Johns Hopkins Hospital in Baltimore. He is also the Professor of Environmental Health and Engineering at the Johns Hopkins Bloomberg School of Public Health. Dr. Mahesh obtained his PhD in Medical Physics from Medical College of Wisconsin, Milwaukee. Dr. Mahesh is board certified from the American Board of Radiology in diagnostic radiological physics and is a member of the Radiation Control Advisory Board for the State of Maryland. 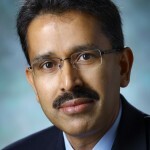 His research interests are in medical imaging, particularly in areas of multiple-row detector computed tomography (MDCT), interventional fluoroscopy, and digital mammography. As chief physicist, he oversees the quality assurance program for the diagnostic radiology that includes maintaining compliance with regard to state and federal regulations and ensuring safe use of radiation to patients. He often provides counsels to patients concerned over their radiation exposure from diagnostic x-ray examinations. Dr. Mahesh is the editor of the Physics Columns (Technology Talk and Medical Physics Consult) for the Journal of American College of Radiology (JACR) since 2007. He is also the Associate Editor of JACR, Deputy Editor for Academic Radiology, Editorial Board Member for RadioGraphics and Radiology journals. He is the Treasurer for the American Association of Physicists in Medicine (AAPM) and board member of the Society of Cardiovascular Computed Tomography (SCCT). He is a fellow of the AAPM (2007), ACR (2009), American College of Medical Physics (2011), and SCCT (2011). Dr. Mahesh has been invited to be the United Nations-International Atomic Energy Agency (UN-IAEA) expert to participate in IAEA activities. Dr. Mahesh is the author of the textbook titled MDCT Physics: The Basics – Technology, Image Quality and Radiation Dose. He publishes and lectures extensively here in the United States and internationally in the area of MDCT technology, radiation doses in medical imaging, and other medical physics areas. Dr. Mahesh is on the NCRP Council and was a member of NCRP Scientific Committee (SC) 6-2 that published NCRP Report No. 160, Ionizing Radiation Exposure of the United States Population. He is the co-chair of NCRP SC 4-9 on Medical Exposure of the U.S. population. is a tenured Professor of Radiology, Medical Physics, Biomedical Engineering, Physics, and Electrical and Computer Engineering at Duke University, where he also serves as the director of Carl E. Ravin Advanced Imaging Laboratories and the founding director of the Clinical Imaging Physics Group. His expertise includes x-ray imaging, theoretical imaging models, simulation methods, and experimental techniques in medical image formation, analysis, assessment, display and perception. His current research includes methods to develop image quality and dose metrics that are clinically relevant and that can be used to design and utilize advanced imaging techniques towards optimum interpretive, quantitative and molecular performance. The main modalities of interest are computed tomography and tomosynthesis for breast, lung and abdominal imaging applications. He has been the recipient of 24 extramural grants, and has over 140 referred papers. He is certified by the American Board of Radiology, is a fellow of the American Association of Physicists in Medicine (AAPM), and is a fellow of the International Society of Optical Engineering (SPIE). 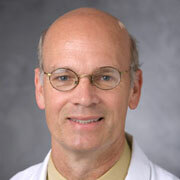 He was the founding Director of the Graduate Studies of the Duke Medical Physics Graduate Program. He has held leadership positions in the AAPM, the SPIE, and the Society of Directors of Academic Medical Physics Programs, and was appointed to the NCRP and serves on Program Area Committee 4.